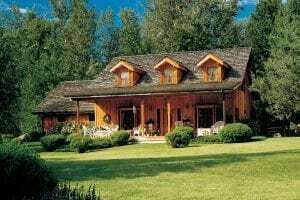 Lindal Cedar Homes is a world leader in home design. In 1945, Sir Walter Lindal founded the company in Toronto, Ontario. Today, the Lindal family still own — and manage — the business. Over 50,000 modern and traditional post-and-beam Lindal homes have been built across North America and internationally. From our headquarters in Seattle, Washington, we work closely with a worldwide network of independent Lindal representatives. Our goal: To help clients design and build their dream homes. Our homes combine one-of-a-kind style, our home design expertise, patented building methods and relentless quality control. Designing and building a new home is one of the biggest investments of your lifetime. We back every Lindal house with a lifetime structural warranty, so you can move forward with confidence. Why are there are as many different Lindal homes as there are Lindal homeowners? Because we give you the flexibility to modify any of our home plans, or create your own unique custom home design. Take a look at our Home Styles and Floor Plans. Choose from modern originals, classic retreats, architect-designed show-stoppers or traditional farmhouses, in just about any size you like. Pick a location — any location. You can build a Lindal virtually anywhere in the world — whether it’s a tropical island, an alpine mountain, a small city lot, or somewhere in between. Lindal has a history of building dreams. The company founder, Sir Walter Lindal, was a visionary and entrepreneur. His mission was to meet the huge demand for new homes following World War II. He was an innovator in the business of building prefab homes, and even patented his own version of the A-frame. Today, Sir Walter’s descendants are actively involved in the management of the company. They are supported and strengthened by the talent and experience of a seasoned professional staff and a network of independent local dealers. Lindal staff have the knowledge, experience and teamwork to work closely with homeowners. We strive to continuously improve our ability to deliver on your dream. The result is custom homes that stand the test of time – from a company that does, too. At Lindal, clients come first. Our staff has the knowledge, experience, and industry connections to ensure your home-building process goes as smoothly as possible. Your satisfaction is our priority!